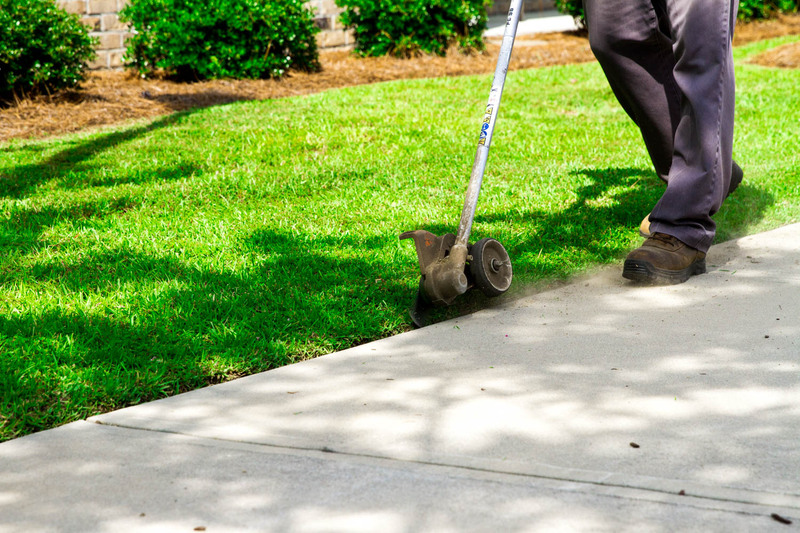 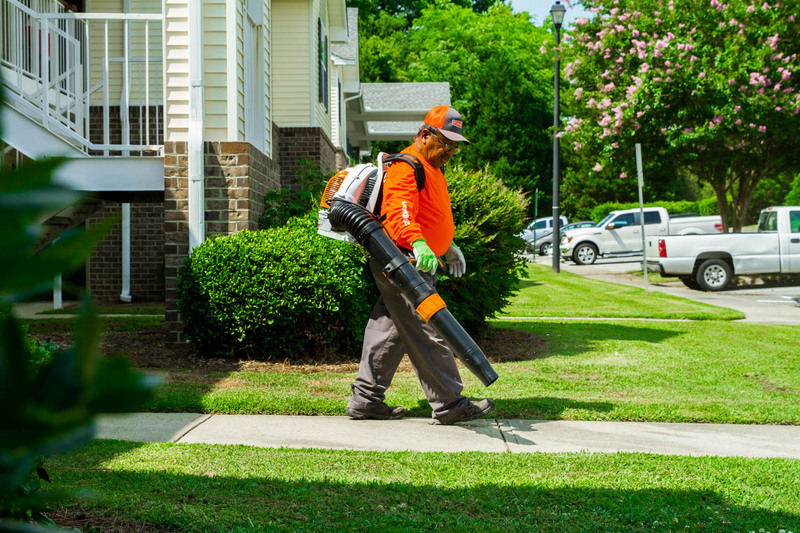 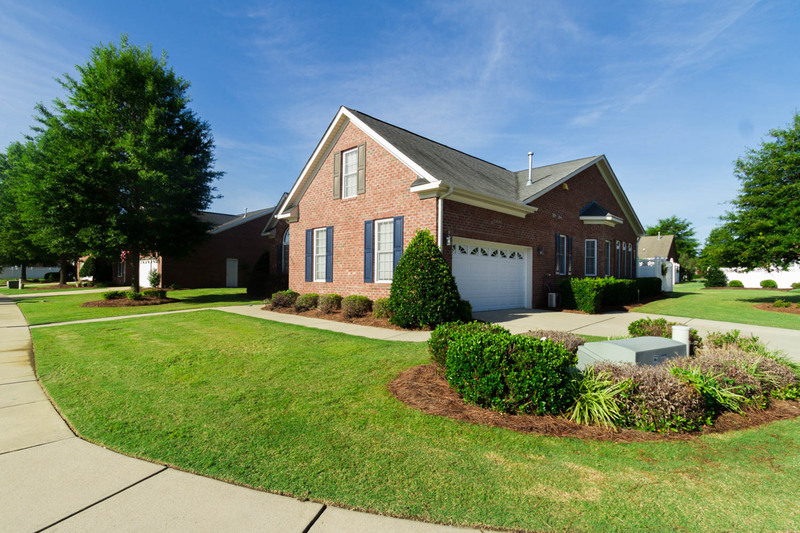 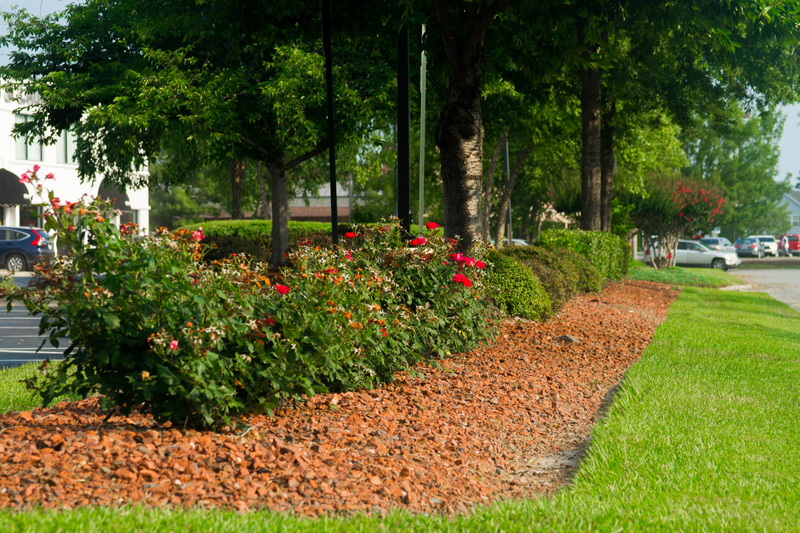 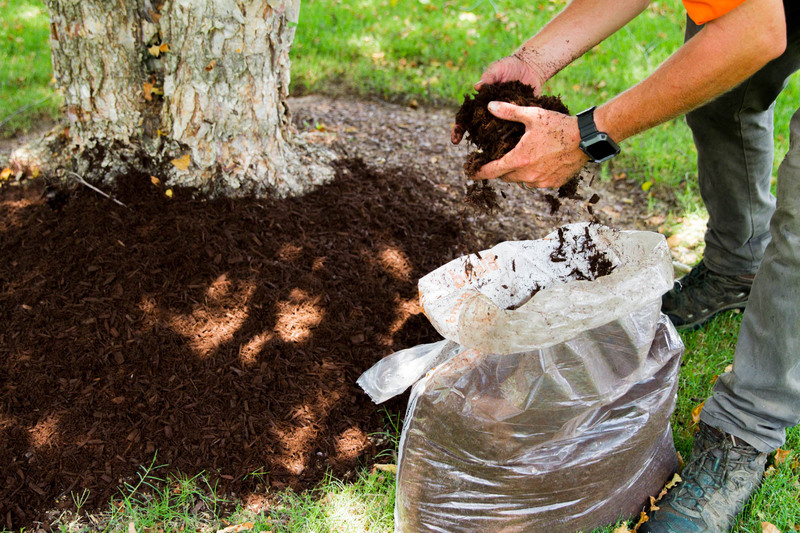 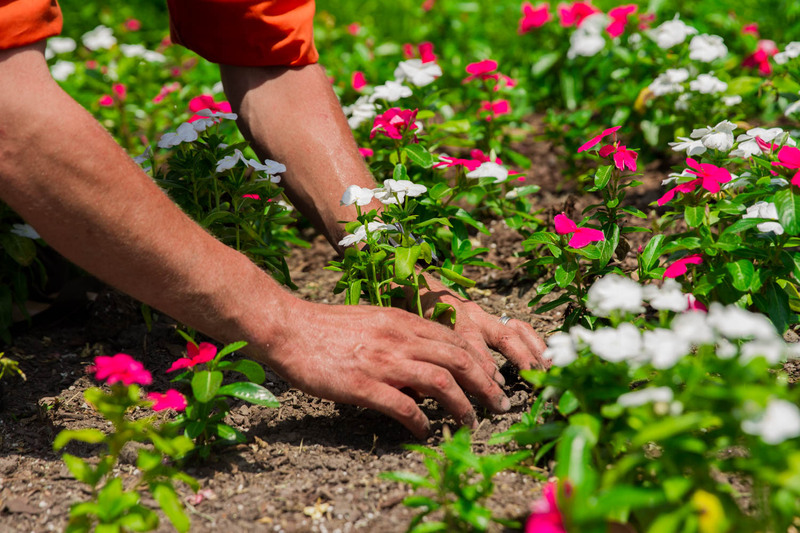 The HOA requires a weed-free turf but previous landscape management companies have not been able to meet their expectations. 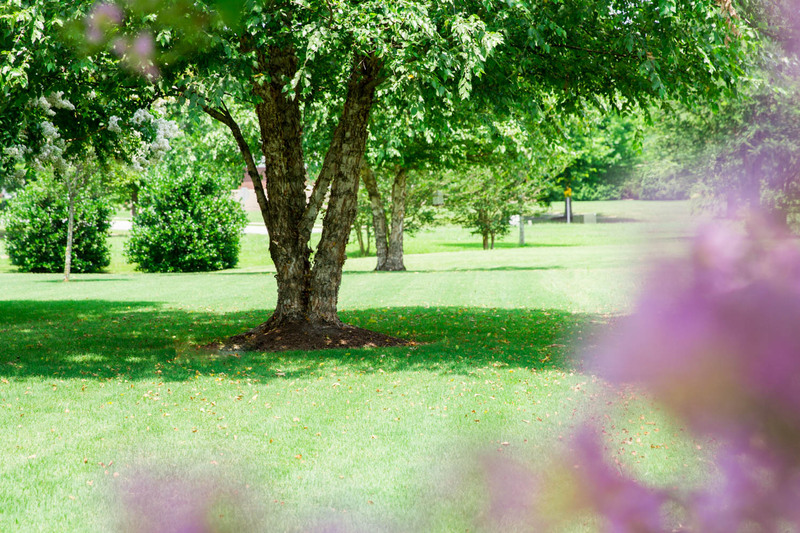 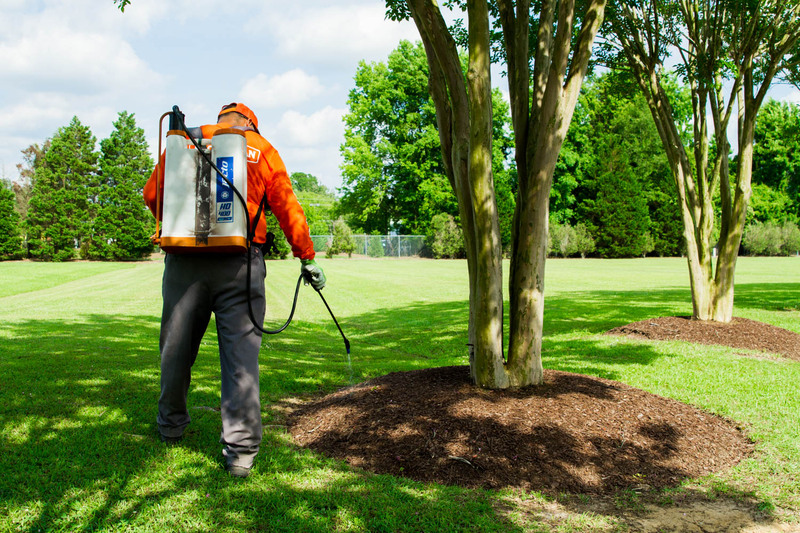 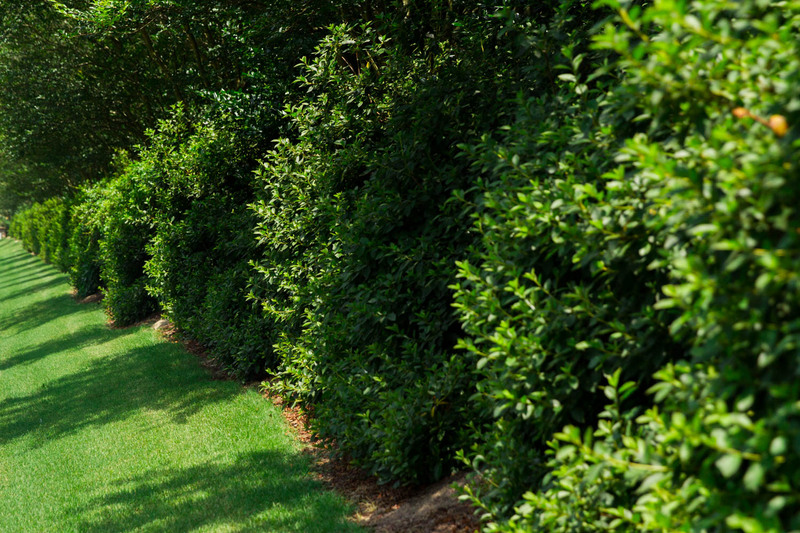 Our Turf Management Plan achieves a 95% weed-free turf throughout the year. 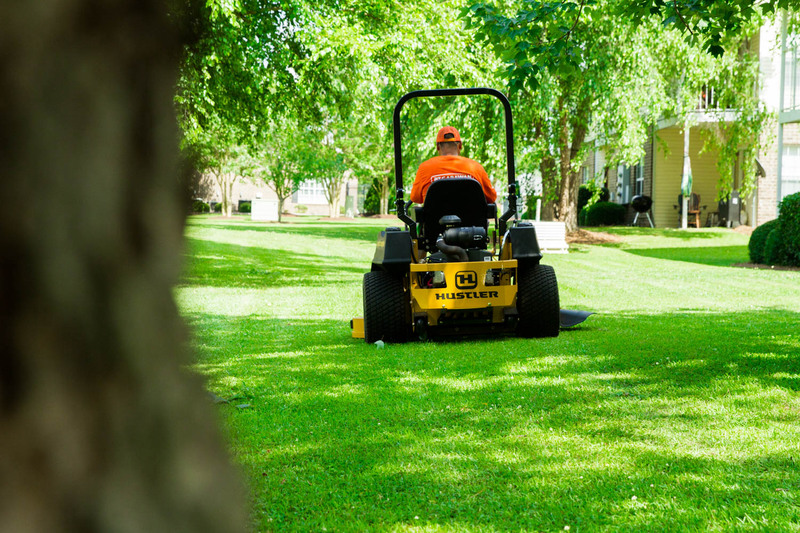 We also reduced financial waste by reworking their mowing program. 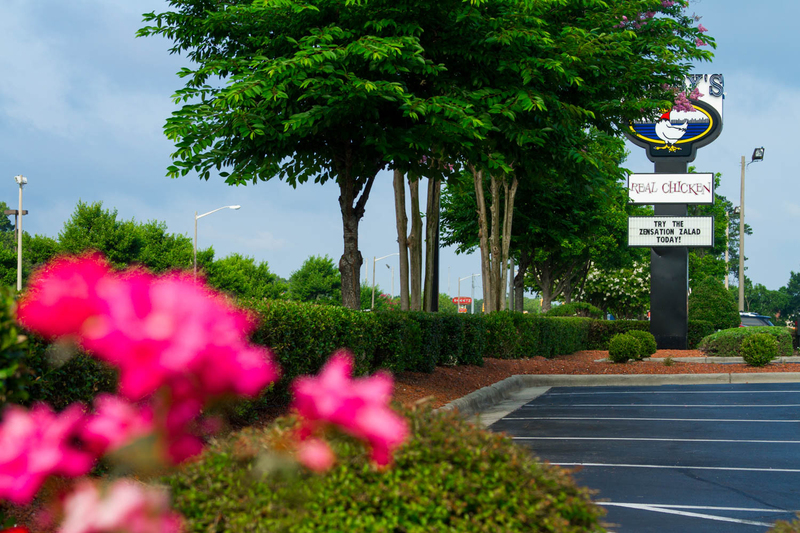 After seven years, we have been able to maintain a 90% satisfaction rating with the community. 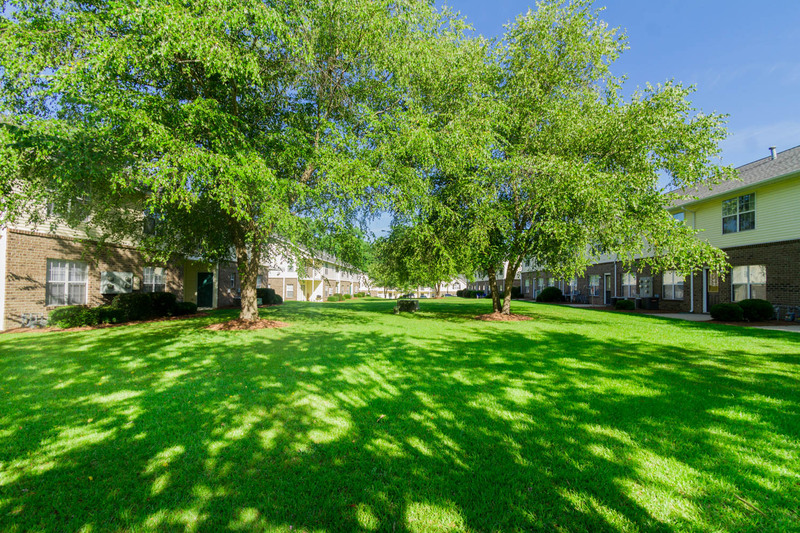 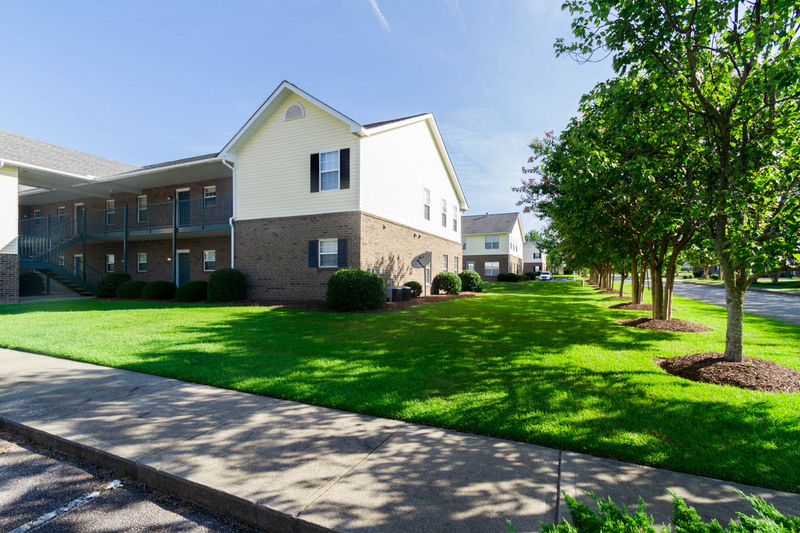 This location has one of the largest land areas that we maintain on a weekly basis. 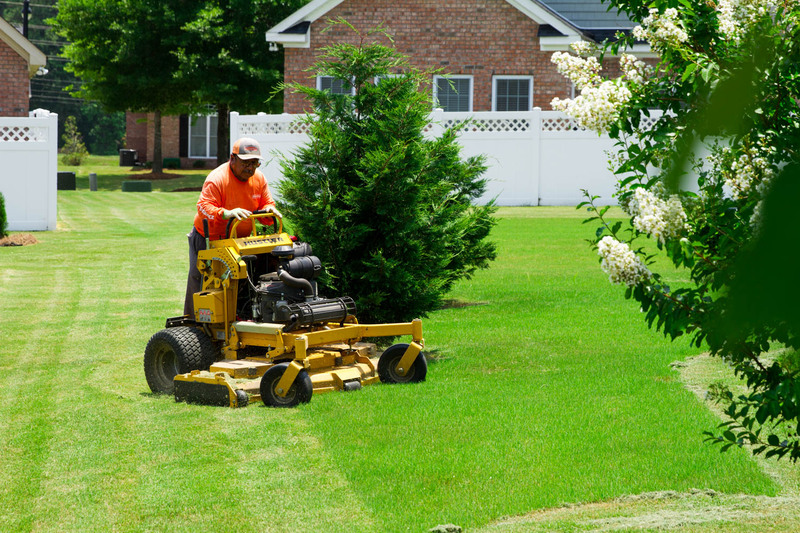 Through our efficient crews, we were able to save 15% in labor cost over the previous contractor. 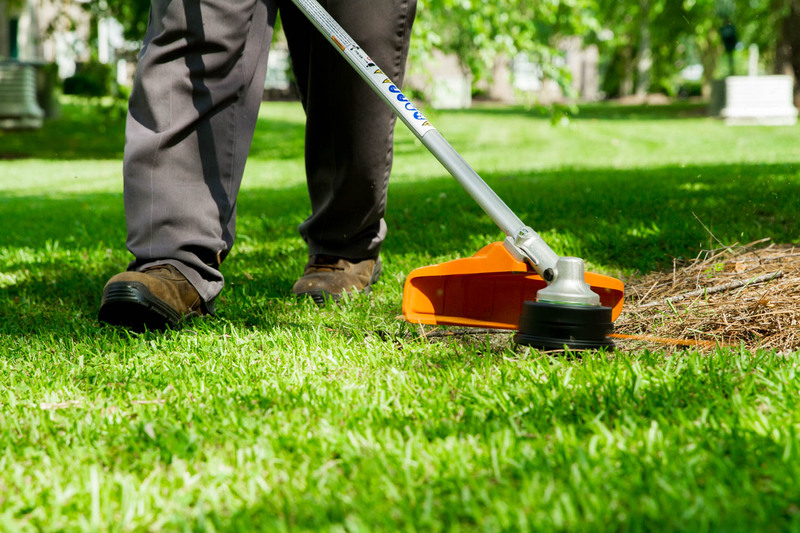 Working directly with an on-site owner, we are able to quickly respond to any needs or special requests within 24 hours. 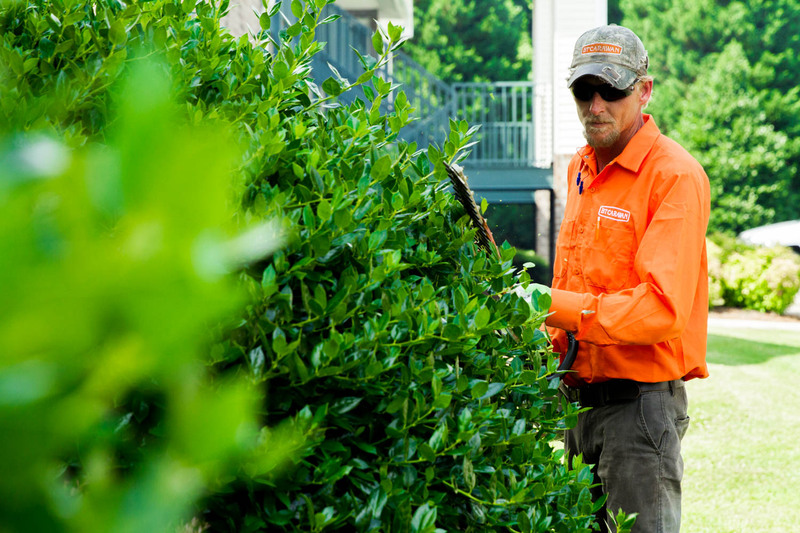 Over the past several years, we have worked with the existing shrubbery and trees and have allowed them to mature into a valuable asset. 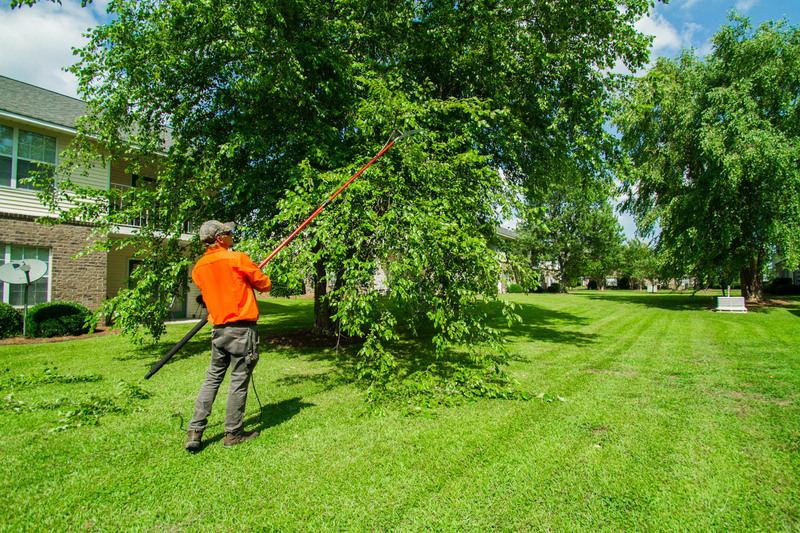 We are maintaining over 300 trees on-site. 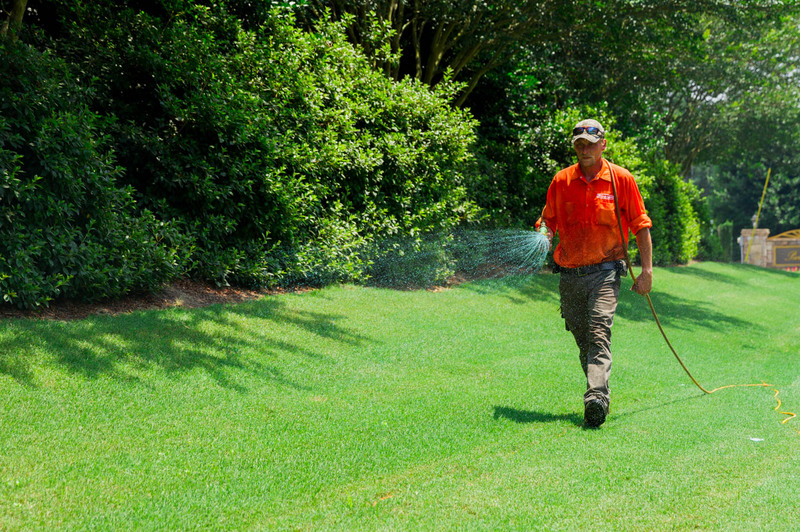 We implemented a Turf Management Plan that has restored the existing centipede turf without having to re-sod. 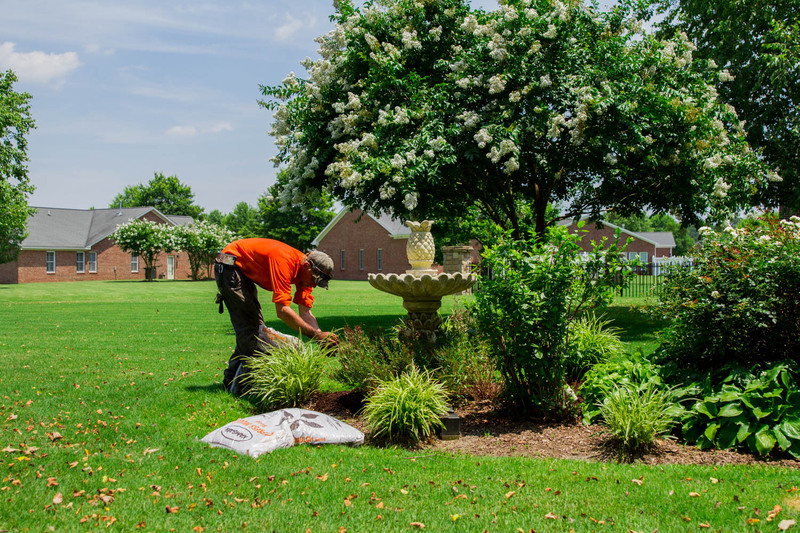 We maintain irrigation at the site to ensure healthy grass and plants. 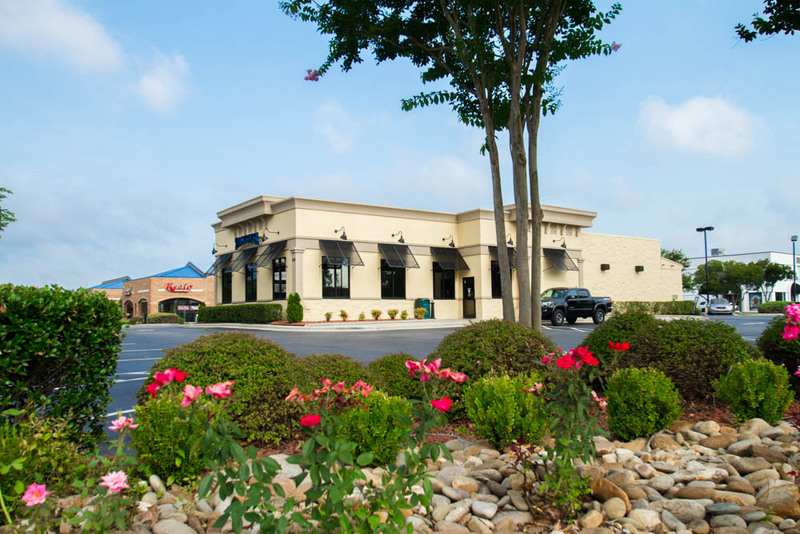 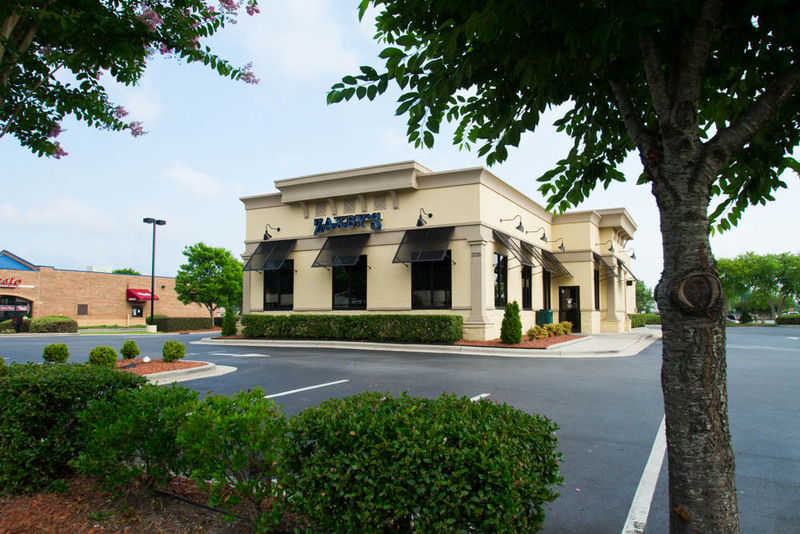 Zaxby’s has benefited from our arborist certification and we were able to remove two diseased trees while saving several others. 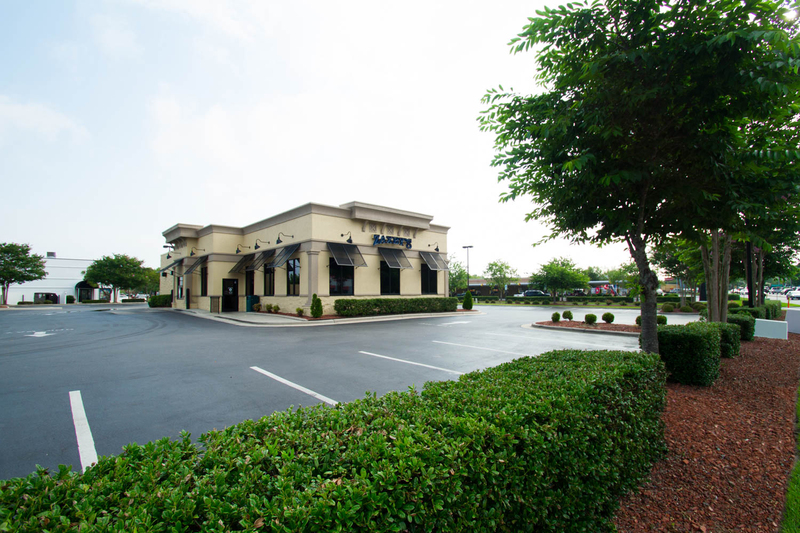 During winter storms this location has been able to remain open for business while similar restaurants have been closed.